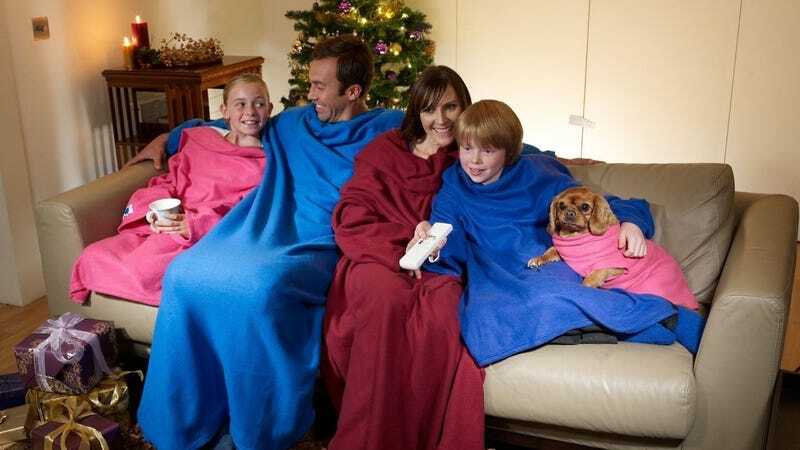 Allstar Marketing Group—makers of the Snuggie (you know, the blanket with sleeves! )—is suing Amazon over trademark infringement because of all the Snuggie counterfeits that litter the online marketplace. The Snuggie-maker is joined in the lawsuit by the creators of other “As Seen on TV” (ASOTV) products such as the Magic Tracks toy racetracks and Copper Fit compression sleeves. As repeatedly addressed in press coverage throughout 2016, and as reflected in the federal lawsuits filed against Amazon and/or its 1P Sellers, as well as lawsuits filed by Amazon itself against 3P Sellers, an astronomical number of counterfeit and infringing products are offered for sale and sold on the Amazon Website at a rampant rate. This is something we can all relate to. Amazon is littered with sellers, even those that are “fulfilled from Amazon,” that are selling straight-up fake products. This has become an issue for businesses big and small alike. The lawsuit goes on to state that for years, the plaintiffs have found counterfeit versions of their products being sold under their names, drop-shipping from China, Japan, Thailand, and other countries that are prohibited from selling ASOTV merchandise. But despite plenty of reports to Amazon, they say the Seattle-based retail giant hasn’t stepped in and stopped the fake blankets from being sold. Amazon, through its Vendor Managers, has indicated that certain solutions are available to stop, or at the very least diminish, the drop-shipment of such Counterfeit Products in the U.S.; however, as of the date of this Complaint, no such solutions have been instituted. This lawsuit comes at a time when Amazon is facing increased criticism over counterfeit products sold on its website. Last month, Amazon itself filed two lawsuits against its own merchants selling counterfeit goods. In October, Apple filed a lawsuit against a company that it alleges sells counterfeit chargers on Amazon. And companies including Birkenstock and the NFL refuse to do business with Amazon altogether. A report last week says that Amazon is finally starting to take the counterfeit problems seriously and is looking to create a brand registry that will ensure products sold under a certain brand are real. When it comes to this lawsuit, the ASOTV brands are seeking unspecified damages (but it would be in the millions) to address lost profits and other punitive awards. We’ve reached out to Amazon and the plaintiff attorney for comment and will update if we hear back.